Some of £250 Athletics Grant for Matthew has already put to good use with a new pair of spikes for the forthcoming track season. 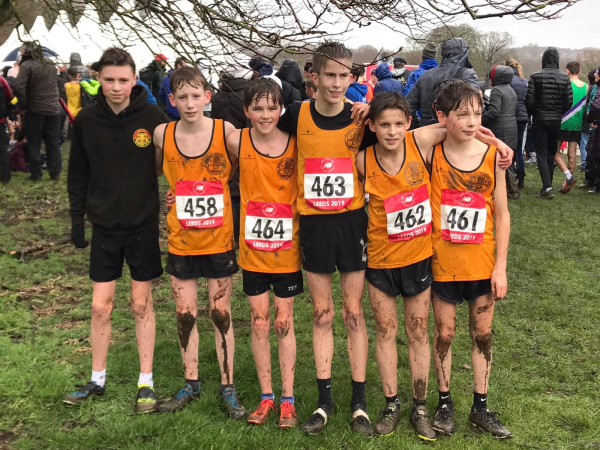 The photo attached features Matthew with the Junior Boys Team at the English Schools Cross Country Championships held at Temple Newsam, Leeds on the 16th March. Pictured after their 4.1K race.